MCLEAN, Va., July 30, 2018 /PRNewswire/ -- Iridium Communications Inc. (NASDAQ:IRDM) announced today that the 10 Iridium NEXT satellites launched on Wednesday, July 25th, by SpaceX are functioning nominally and have begun the testing and validation process. 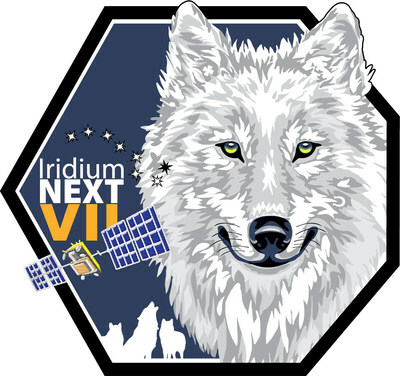 The launch brought the total number of Iridium NEXT satellites in orbit to 65, leaving just one more launch of 10 satellites to complete the Iridium NEXT launch program. "It's incredible that we only have one more Iridium NEXT launch to go," said Scott Smith, chief operating officer at Iridium. "Since Wednesday's launch, the team is focused on settling these 10 new satellites into their designated slots, all in plane five. Once we are done with this batch, plane five will be comprised of all Iridium NEXT satellites, and we will be ready and waiting for the final launch of this historic program." The Iridium constellation is comprised of six polar orbiting planes, each containing 11 operational crosslinked satellites, for a total of 66 satellites in the active constellation. This unique architecture creates a web of coverage around the earth, enabling Iridium to provide real-time communications over the oceans and from even the most remote locations. One more Iridium NEXT launch is scheduled for 2018, which will bring Iridium's total number of new satellites in orbit to 75, including nine spares. A total of 81 satellites are being built, including 66 operational, nine on-orbit spares and six ground spares. Statements in this press release that are not purely historical facts may constitute forward-looking statements as defined in the Private Securities Litigation Reform Act of 1995. The Company has based these statements on its current expectations and the information currently available to us. Forward-looking statements in this press release include statements regarding the deployment of the Iridium NEXT constellation. Forward-looking statements can be identified by the words "anticipates," "may," "can," "believes," "expects," "projects," "intends," "likely," "will," "to be" and other expressions that are predictions or indicate future events, trends or prospects. These forward-looking statements involve known and unknown risks, uncertainties and other factors that may cause the actual results, performance or achievements of Iridium to differ materially from any future results, performance or achievements expressed or implied by such forward-looking statements. These risks and uncertainties include, but are not limited to, uncertainties regarding potential delays in the Iridium NEXT deployment, the development and functionality of Iridium NEXT, and the company's ability to maintain the health, capacity and content of its satellite constellation, as well as general industry and economic conditions, and competitive, legal, governmental and technological factors. Other factors that could cause actual results to differ materially from those indicated by the forward-looking statements include those factors listed under the caption "Risk Factors" in the Company's Form 10-K for the year ended December 31, 2017, filed with the Securities and Exchange Commission (the "SEC") on February 22, 2018, and in the Company's Form 10-Q for the quarter ended March 31, 2018, filed with the SEC on April 26, 2018, as well as other filings Iridium makes with the SEC from time to time. There is no assurance that Iridium's expectations will be realized. If one or more of these risks or uncertainties materialize, or if Iridium's underlying assumptions prove incorrect, actual results may vary materially from those expected, estimated or projected. Iridium's forward-looking statements speak only as of the date of this press release, and Iridium undertakes no obligation to update forward-looking statements.